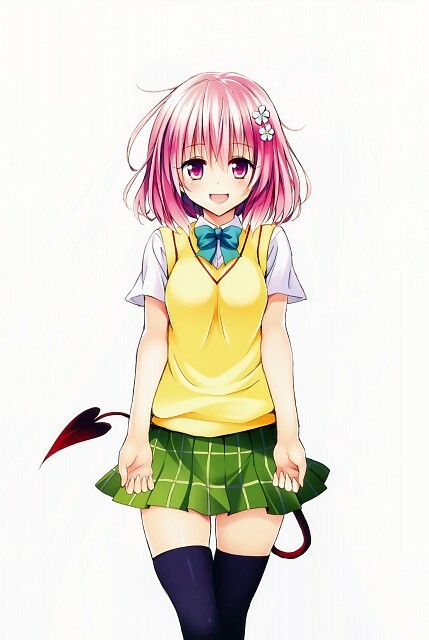 Tagged under To-LOVE-Ru, Short Hair, Pink Hair, Waifu, Pink Eyes. Twin sister of Nana Aster Deviluke, younger sister of Lala Satalin Deviluke and daughter of Sephie Michaela Deviluke. She can be distinguished from her twin sister by her shorter hair; Momo is frequently depicted wearing a green and black outfit, while her sister's is red and black.